The majority of countries around the world follow the Gregorian calendar, but still have special days to celebrate their cultural or religious New Year’s celebrations. Thailand’s New Year hosts a huge water fight on their New Year that people around the world flock to. The New Year’s holiday is largely a secular celebration held around the same time worldwide, as nearly the entire world uses the Gregorian calendar as their only civil calendar. But many disparate calendars are based on religious myths and other cultural tradition. The beginning of the new year always comes with a unique set of celebrations with rituals, great parties and unique customs. Here are some of the celebrations from one culture to the next. Each year brings about a new changing date for the Chinese New Year. It usually falls somewhere between January 21st and February 21st, depending on how the new moon of the first lunar month arises. In China, there is a fifteen day observance for this holiday that has recently been cut down to around seven days. It is one of the most important of the traditional Chinese holidays and it’s also known to many as the “Spring Festival.” Many Chinese activities include the usual rounds of putting up decorations, blasting off fireworks and giving gifts. 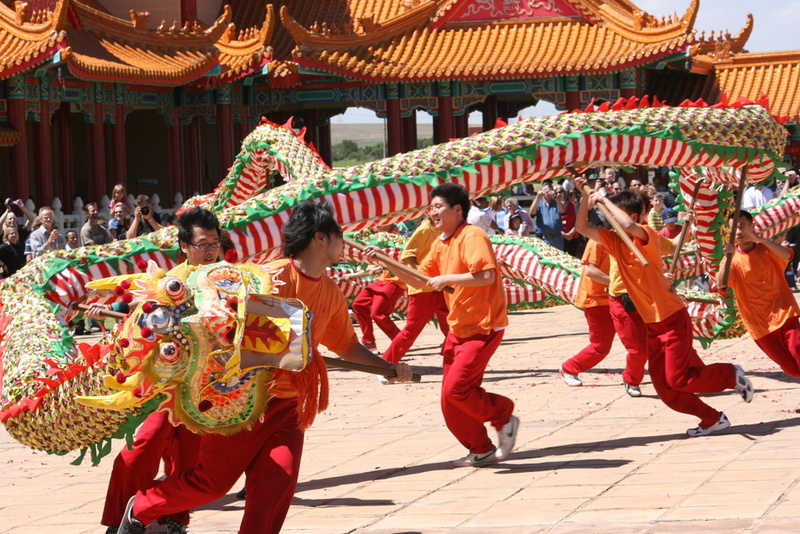 In major Chinese cities, traditional performances like dragon dances and lion dances are performed, while red Chinese lanterns are hung throughout the streets. The Chinese New Year tradition was born out of a great legend. It was said that a wild beast named Nien would appear at the end of each year and kill villagers. Eventually this led to the rambunctious festivities we see today in which villagers were told the noise and raucous they made would scare the beast away. From gifting hong bao (money in red envelopes), dancing, blasting off fire trackers and dragons – the New Year’s celebration caps off with a wild lantern ceremony. 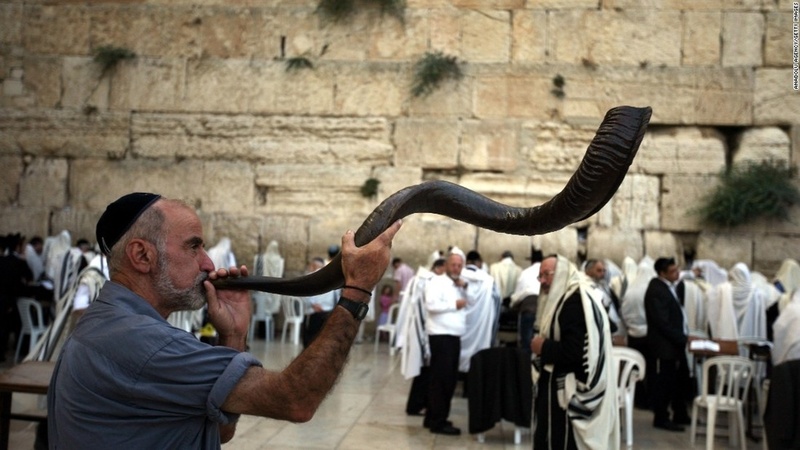 The Jewish New Year is celebrated in autumn and is based usually around the first two days on the seventh month of the Hebrew Calendar – called Tishrei. For the Jewish people, it is a time to reflect on the year that has passed and see what can be done to change their life for the better in the year to come. Most celebrations of Rosh Hashanah center around food. Jewish families light many candles and recite blessings over their wine and bread. The challah is shaped into a circle to symbolize the cycles of life. Traditional breads and apples dipped in honey symbolize the hopes for a prosperous and sweet New Year. Most of the day is spent worshipping in the synagogue, as this is one of the most holy days for the Jewish faith. A time of introspection and rejoicing, the Jewish New Year ushers in the ten days of repentance which end in the major fasting day of Yom Kippur. The Islamic New Year occurs on the first day of Muharram, the first month of the Islamic calendar. 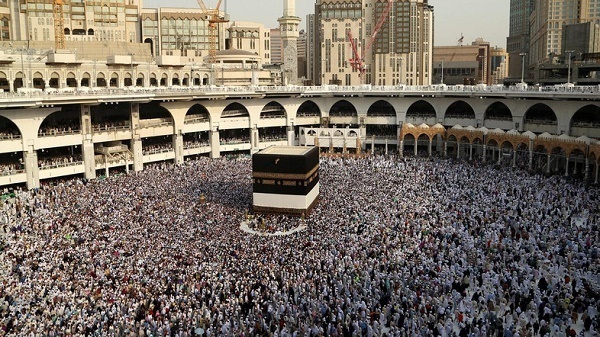 Also widely celebrated as Eid al-Adha, it marks the climatic point of the hajj pilgrimage in Mecca, Saudi Arabia. The Islamic calendar is based on a 30 year cycle, so the Hijri New Year will fall on different times each year. It is celebrated differently by each separate Muslim sect and for those not making the pilgrimage, will celebrate in their own local communities at home. There are a number of Indian New Year’s days surrounding the Hindu faith. 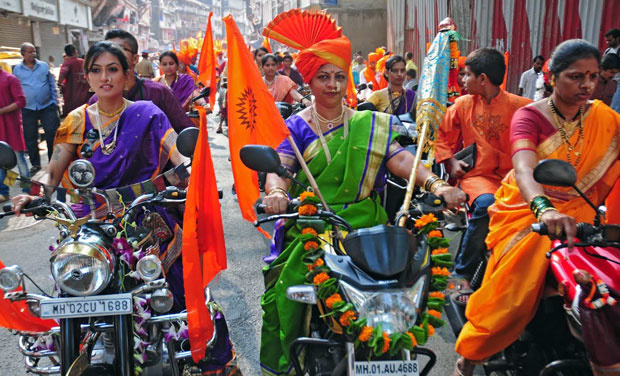 Many of these celebrations occur on the first Hindu month, Chaitra. The month of Chaitra is another New Years holiday that is associated with the coming of spring and bases itself off the Lunar calendar. The Gudi Padwa festival is celebrated on the first day of the Chaitra month. Everyone dresses up in extravagant new clothes and goes to family gatherings. Special dishes are made from the bitter leaves of the neam tree. During this month, fifteen days are dedicated to fifteen different deities. The month is also representative of the month in which all of creation of the universe was started as well. The Thai New Year is celebrated from April 13th to 15th. 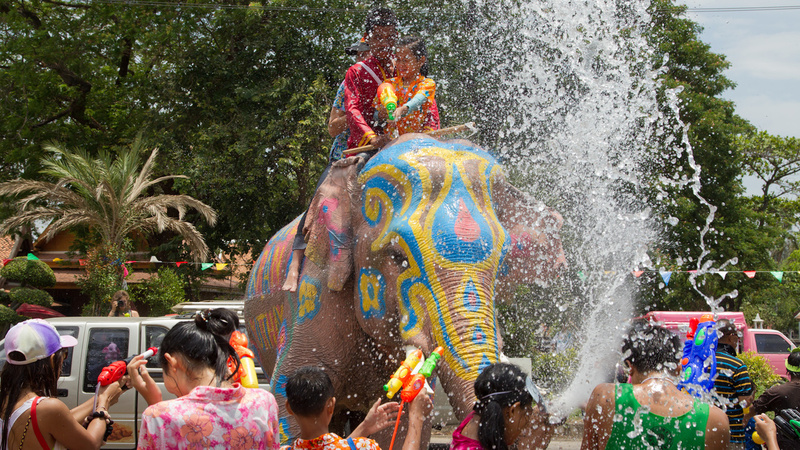 Songkran, also known as the Thailand water festival marks the traditional Thai new year. During Songkran, the Thais use this time to purify, clean and symbolize a fresh new start. When it comes to the more traditional aspects, Buddhists will all go to their temples to celebrate something called Wan Nao and build sand chedis, which look like little Buddhist temples. Houses and places of worship are meticulously cleaned. Buddha statues are carried through the streets in parade processions to be cleaned with flower scented water. Elders are honored and their hands are washed with other special scented water. There’s no shortage of wild water fights either. Hoses, water guns and mounted elephants litter the streets as over half a million people engage in water fights. before the Lord: for he cometh, for he cometh to judge the earth: he shall judge the world with righteousness, and the people with his truth..